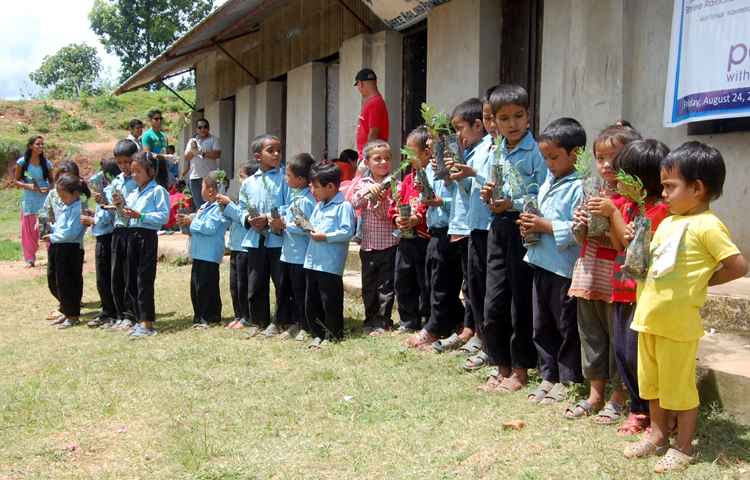 On Friday, August 24, 2012, Pax Earth organised tree plantation program in Shree Raktakali Primary School and Shree Kalika Primary School of Kavrepalanchok, Nepal. 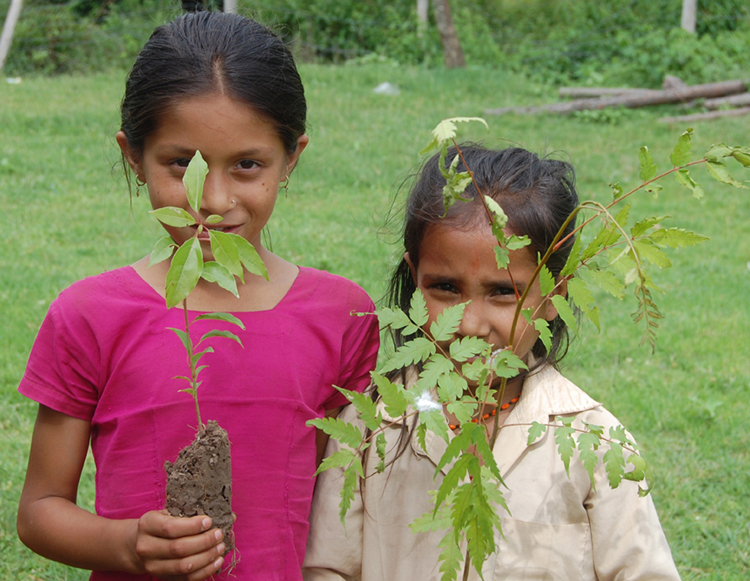 In a separate program organised in these two schools, about 170 tree plants were planted. Including Pax Earth members, students, teachers and community people heavily involved in the plantation. A 10-members’ Pax Earth team led by President Sujan Koirala and accompanied by Secretary Binod P. Mainali, Treasurer Bal Gopal Shrestha, Board Member Harihar Sapkota, Honorary Member Kapil Koirala, General Members: Debraj Ghimire, Sachin Koirala, Anita Subedi and Kamala Basnet, and Pax IV Hyper Member Natsuo Mishina left for the plantation sites located in Kanpur VDC of Kavrepalanchok from Kathmandu in a jeep at 8:30am. The team took lunch at Dhulikhel at 10:30am. The Pax Earth team arrived at Shree Kalika Primary School, Kanpur at 12:30pm. The team members were warmly welcomed by Principal Ram Lal Shrestha, teacher Ful Maya Lama, students and community people. Without any formality, Pax Earth team along with the teachers and community people started to dig the holes for plantation. Once the holes were ready, Pax Earth team handed a tree plant to each student and asked them to plant the respective tree. There were about 25 students present on the occasion. These students were supported by the teachers, community people and Pax Earth members in the plantation. 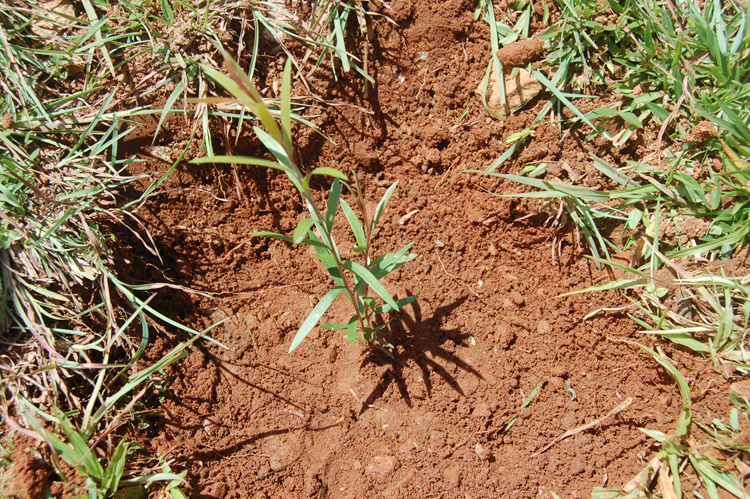 The remaining tree plants were planted by Pax Earth members, teachers and community people. 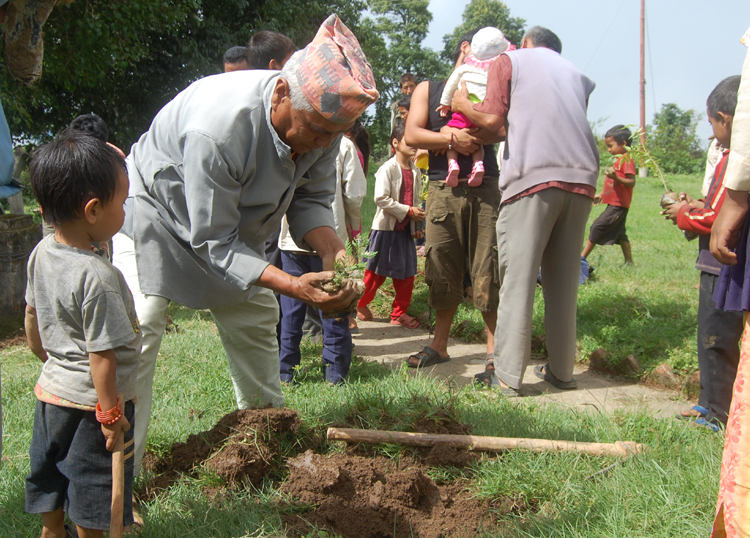 Including Juniperus, Jacaranda, Kalki, Nepali Hog Plum, Guava, Camphor, Gooseberry, Walnut, about 80 tree plants were planted in the school premises. Including Pax Earth members, students and teachers, 50 persons actively involved in this plantation. After the plantation, the students were asked to draw what they had seen during the plantation. This time, they drew the pictures in a group. The students used the pencil colours sent by respected Mr. Masaya Arao (Advisor, Pax Earth Japan) in their paintings. 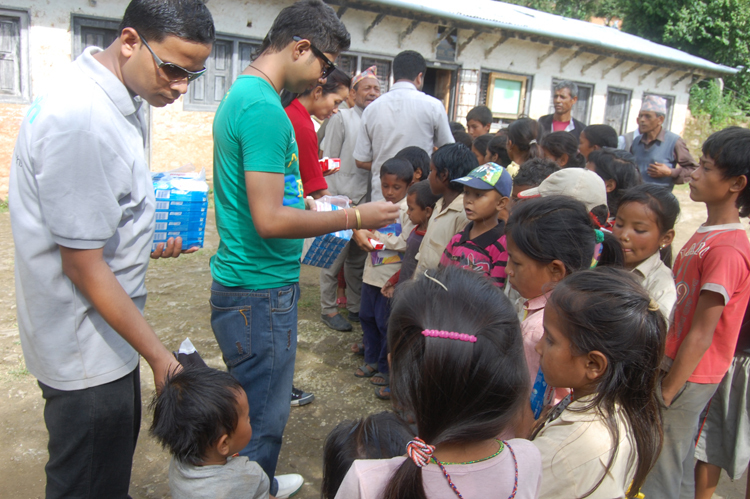 In addition, Pax Earth team distributed a soap and a toothpaste to each student. 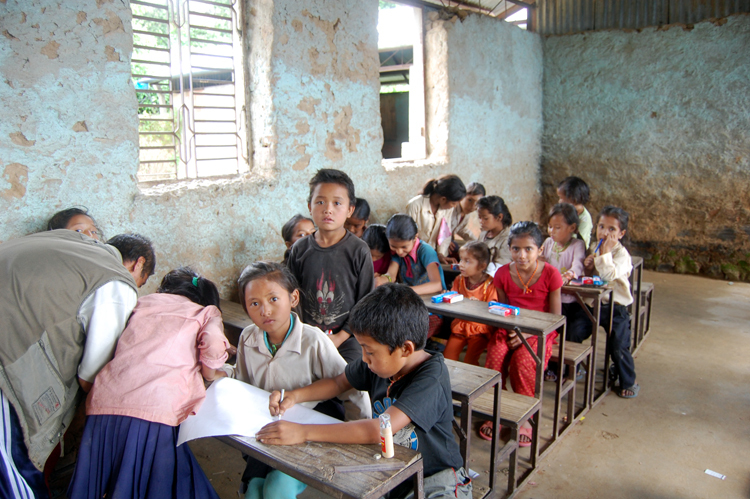 After the distribution, the Pax Earth team left for Shree Raktakali Primary School at 1:45pm. School authority, students and community people bid farewell to Pax members before their departure. The Pax Earth team arrived at Shree Raktakali Primary School, Kot Timal at 2:15pm. Principal Hira Kaji Tamang, teachers and students warmly welcomed the team members at the main gate of the school. Like in Shree Kalika Primary School, without any delay, the Pax Earth team along with the teachers and community people started to dig the holes for plantation. 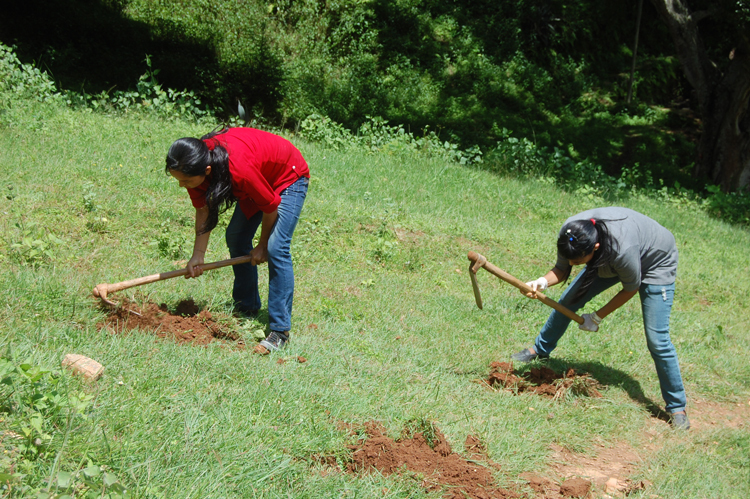 Once the holes were ready, students, teachers, community people and the Pax Earth team began the plantation together. 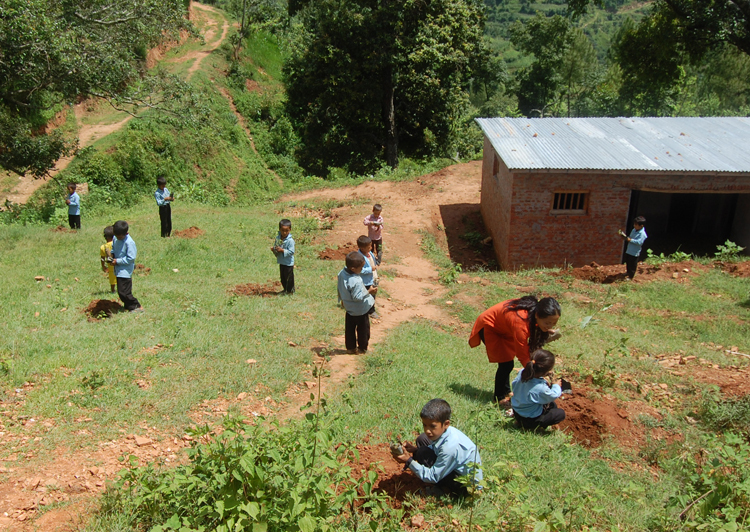 Including Juniperus, Jacaranda, Kalki, Nepali Hog Plum, Guava, Camphor, Gooseberry, Walnut, about 90 tree plants were planted in the school premises. Including Pax Earth members, students and teachers, 65 persons actively involved in this plantation. Like in Shree Kalika Primary School, the students in this school were asked to draw what they had seen during the plantation. In this school too, the students used the pencil colours sent by respected Mr. Masaya Arao in their paintings. Pax Earth team also distributed a soap and a toothpaste to each student. At 3:30pm, the plantation in this school finished. After the program, Pax members were served teas and biscuits by the school authority. This time, the Pax team could complete the program relatively earlier than previous programs. Considering the suggestion of the teachers and capitalising the opportunity, the team made an immediate plan to observe Narayanthan, a religiously and culturally important place located about 8Km upwards from the school area. Thanks to very friendly driver Sujan Magar for accepting the proposal to take the team members for observing Narayanthan. The team left for Narayanthan after receiving farewell from the teachers, students and community people. As the road near to Narayanthan was quite damaged, the team left the jeep on the road and hiked about 30 minutes to reach and return from Narayanthan. 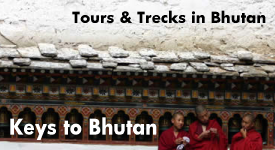 Each team member was quite delighted to observe a temple and some stupas there. After completing the mission, at 5:15pm, the team left for Kathmandu. On the way back to Kathmandu, the team could manage to stop at the home of Secretary Binod P. Mainali and enjoyed beaten rice, curry and yogurt. The team took dinner at Dhulikhel. At 9:30pm, the team arrived at Kathmandu after completing the mission of the day. 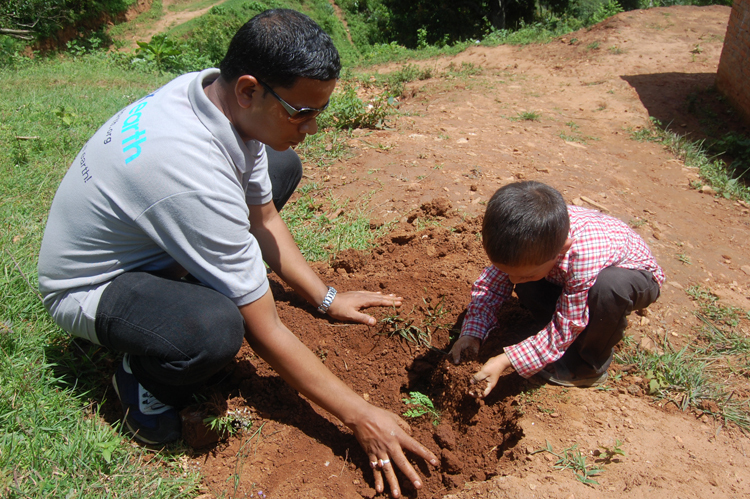 Though it was first trial in Kavrepalanchok, the Pax Earth in coordination with school authorities and community people could manage to hold the tree plantation program successfully. Now, the challenge is to protect and preserve the planted trees and plantation areas. As per the commitment shown by the school authorities and the community people, Pax Earth is hopeful that the planted trees will get protection and preservation and result will be seen in few years time. The program would not have been materialized without the active and valuable support from the teachers, students and community people. Pax Earth, therefore, extends sincere gratitude to the teachers and students of both the schools, and the community people. Pax Earth is very grateful to Sujan Magar for offering our team members a comfortable travel and moreover for dropping them at their respective home at night. Last but not the least; they are the members of Pax Earth without whom this program would not have been possible. So, all 10 Pax Earth team members (President Sujan Koirala, Secretary Binod P. Mainali, Treasurer Bal Gopal Shrestha, Board Member Harihar Sapkota, Honorary Member Kapil Koirala, General Members: Debraj Ghimire, Sachin Koirala, Anita Subedi and Kamala Basnet, and Pax IV Hyper Member Natsuo Mishina) deserve a special thank. Pax Earth would like to specially thank Japanese friend Natsuo Mishina for participating and actively supporting in this program. Pax Earth appreciates the role played by Kapil Deuja, Kapil Koirala, Debraj Ghimire and Sachin Koirala in managing tree plants for this program. Pax Earth is also thankful to Laxman B. Pahari for his unseen contribution in carrying out this program. Previous postPEN Toastmasters Vol. 3, No. 6: "WATER CYCLE!" Next postPEN Toastmasters Vol. 3, No. 7: "FRIENDSHIP!"